The editors of YogiApproved.com love yoga and everything related to living a healthy and natural lifestyle. We pride ourselves on keeping our finger on the pulse of the industry, and we take reviewing the latest trends and products very seriously. Our Favorite Things is a monthly recurring article and video featuring all of our editor’s latest finds that we want to share with you! 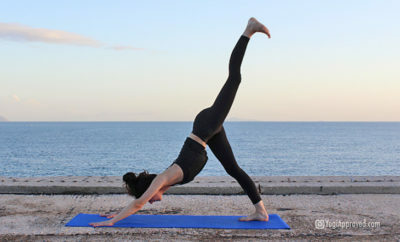 Here are the 5 yoga and healthy lifestyle products we are loving this month. Lineagewear is a popular body-positive yoga and activewear brand. Lineagewear is all about loving the body you’re in. Their clothing fits true to size, and are offered in sizes XS-5X. The super-comfy, chic, and functional Not So Basic Black Leggings are a nylon/spandex blend. They look adorable with the Elephant Racerback Tank, a stunning elephant design with a sporty fit that you can take from the gym to yoga class to out on the town! 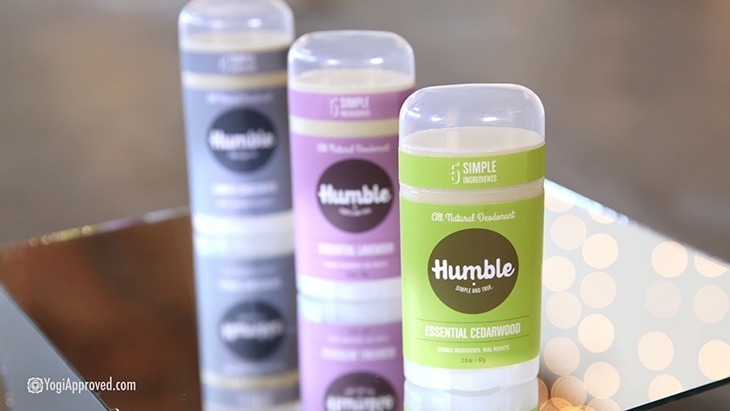 Humble is a company based out of Taos, New Mexico that offers a subscription service for their line of All Natural Deodorants – offered in Essential Lavendar, Essential Cedarwood, and Simply Unscented. These deodorants are made with five natural ingredients or less – a safe and healthy alternative with no parabens or aluminum. Subscribe and get your first month for $1, or buy individually for $8 each. Shop this natural, effective deodarant here. Welzen is a meditation app for daily mindfulness that you can download for free on Android and Apple devices. 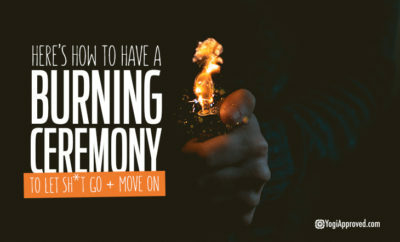 You can choose the free version, which offers a 5-day introductory meditation program and mindfulness coaching, plus a handful of 5-20 minute long meditations from a breathing relaxation to a meditation for alternative thinking and more. 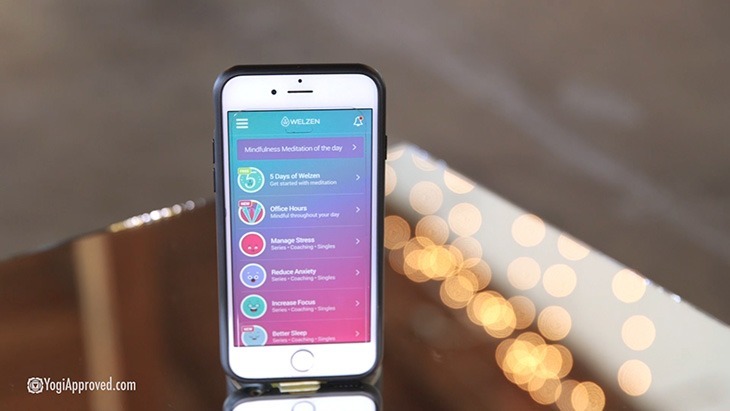 You can upgrade to the Premium version to access all the meditation programs on Welzen from mindfulness, to stress management, creativity, sleep, and so much more. Download your new favorite meditation app here. 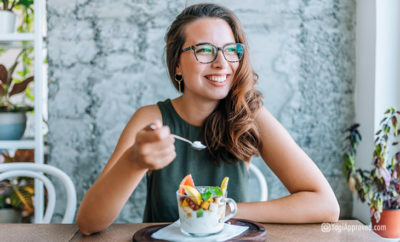 Receptra Naturals is Colorado-based company that offers organic, pure hemp extracts sourced from local family-owned farms for sale in all 50 states. 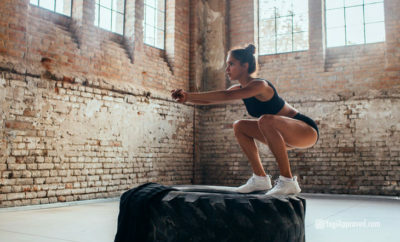 The Targeted Topical is a highly effective balm made from safe and natural ingredients like hemp extract to target muscle and joint soreness for instant relief – perfect for yogis and athletes. We also love their Body Butter with cannabanoids, antioxidants, Vitamin E, and essential oils that make this the perfect elixir for dry, irritated, or dull skin. 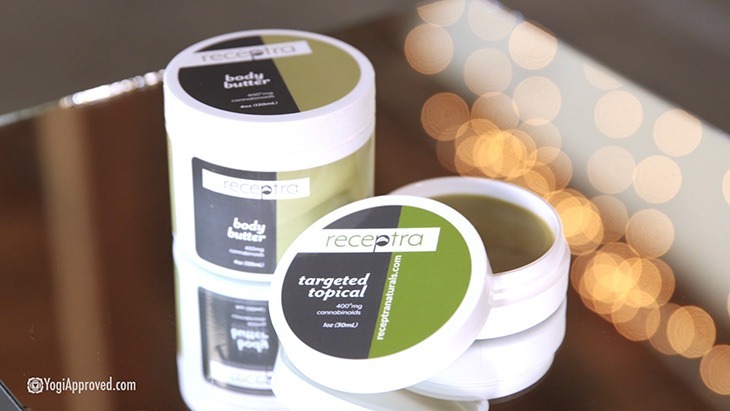 Shop the highly recommended Targeted Topical balm here and Body Butter here. 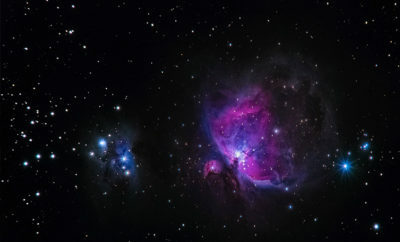 Tarot cards are a centuries’ old practice of pulling cards to gain insight into life’s questions. The REBEL DECK is a modern twist with zero filter . 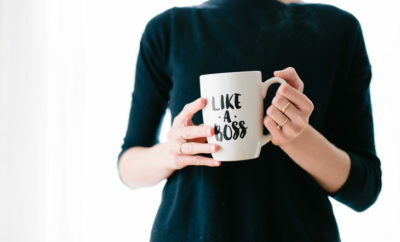 . . and we’re obsessed! Shuffle the deck, ask for guidance on what you need to know, and pick a card. 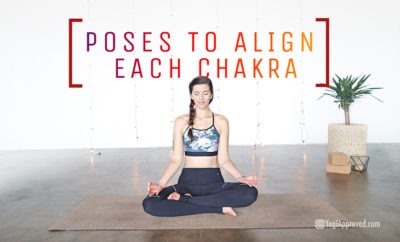 You’ll get messages like “You need some f*cking yoga in your life” and “Some good sh*t is about to happen.” We can all use a good laugh while receiving our meaningful and helpful guidance! 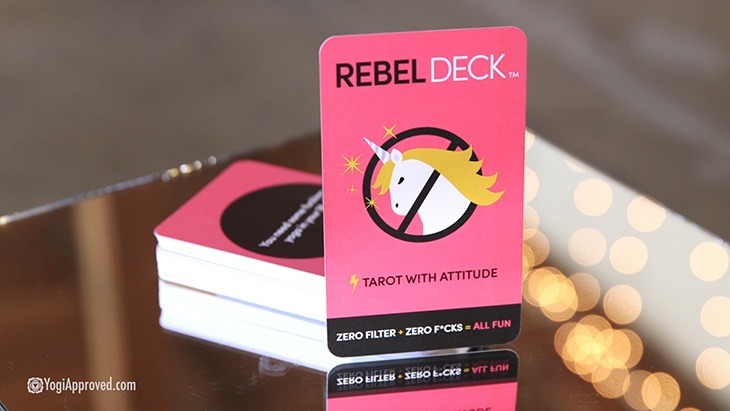 Get your very own REBEL DECK here. 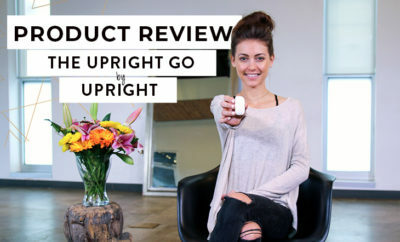 Thanks so much for watching and don’t forget to subscribe to the YogiApproved YouTube channel to stay up to date on all of our latest videos! !